South-south Cordinator of Buhari Vanguard, Romeo Bekeyei, has described President Mohammadu Buhari’s foreign trips as best interest of the country hence the need for all stakeholders to support him. 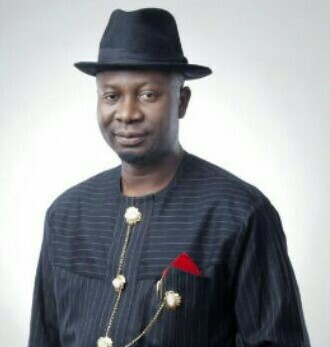 Bekeyei, who is a Chieftain of All Progressives Congress (APC) in Bayelsa State said President Mohammadu Buhari’s foreign policy is the only way Nigeria can come out of her present economic quagmire. In a chart with a group of online journalists after returning from America further said President Buhari has recorded a lot of successes in woeing foreign investors to the country, adding that Nigerians will soon start reaping the benefits of his robust policy targeted at reviving the economy. “President Buhari has done so much to bring our economy back on track. “What he is doing is a long time strategy that will sustain our economy but so many paople did not undertstand this and that is why there so many noise here and there but I can assure you that at the end of it all, Nigeria and Nigerians will be better of. “My candid appeal is that all hands must be on deck to support Mr. President in this crusade; I mean the National Assemblies, governors and all stakeholders. We must all support his foreign policies which I believe is meant to boost both foreign and local investors’ confidence in diversifying Nigeria’s economy,” he said. He commended the president on his successful outing at the World Nuclear Summit which he said was another image laundering for the country.